Christopher Priest’s multiple award-winning novel The Separation is an alternate history novel; like a great many alternate histories, it focuses on World War II, but unlike 99% of the WWII-based alternate history stories out there it doesn’t posit a future where the Nazis won the war – well, not quite at least. The story hinges on twin brothers, Joe and Jack Sawyer, who in 1936 go to Berlin to row in the Olympics for Britain. They garner some attention when they take the bronze, and in the course of receiving the congratulations of various well-wishers they encounter Deputy Fuhrer Rudolf Hess; later that night, they start on the drive home in the company of Birgit, a young Jewish woman they have decided to help escape to Britain – mainly as a matter of principle, but also because both of them have fallen in love with her. Five years later, the war is raging and the two brothers are in very different roles: Jack is a bomber pilot with the RAF, but Joe is a conscientious objector and a fervent pacifist, and drives an ambulance for the Red Cross. And on May 10th, Rudolf Hess flies out of the Third Reich to negotiate peace with Britain – which is where the divergence in timelines occurs. Lots of people saw the film version of The Prestige. I didn’t, but I suspect experiencing one won’t give you much idea of whether you’d enjoy the other: my understanding is that major changes were made to make the thing filmable in the first place. Early on in the novel one of Priest’s narrators talks about the difference between putting on a performance on-stage, in which what the audience can and cannot see is strictly controlled, and putting on a performance “in the round”, with the audience surrounding you. If the film of The Prestige is comparable to a stage version, the novel is the same performance in the round. 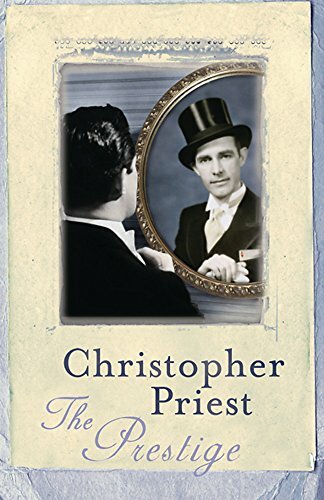 Through a series of narrators Priest tells a story of a vicious feud between two late Victorian stage magicians, at the centre of which is a trick known as The New Transported Man. While the accounts of Alfred Borden and Rupert Angier make up the bulk of the novel, there is in addition a framing story based around two of their descendants in the modern day, whose lives have been blighted by the aftereffects of the conflict. 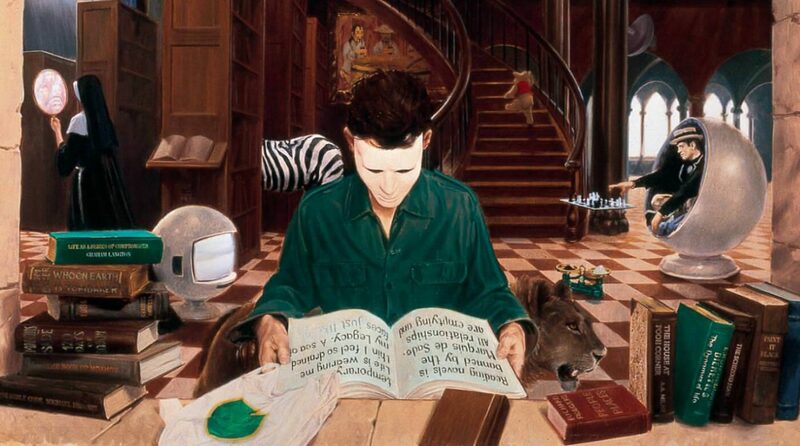 Glancing over the synopsis of the movie on Wikipedia, it seems that the framing story has been done away with – sensibly, in terms of filming the thing, but it does mean that the fantastic, terrifying final scene of the novel is cut entirely. It also, however, seems to tamper with the buildup of the feud between Borden and Angier. In the book, rather than being apprentices to the same stage magician, the two men first meet at a fake seance of a type that Angier conducts early on in his career to supplement his income, at which Borden abruptly attempts to expose Angier’s trickery (unsuccessfully). It also seems that the feud in the film turns murderous from the start, which is far from the case in the book: there is, rather, a slow build-up of tensions between the men that may or may not turn murderous, depending on whether you believe Borden’s possibly-understated account or Angier’s possibly-exaggerated diary. My one criticism of this book would be that, until the final pay-off (or “prestige”, to use the book’s invented jargon), the framing story seems irrelevant – the focus is very much on the diaries of Angier and Borden. 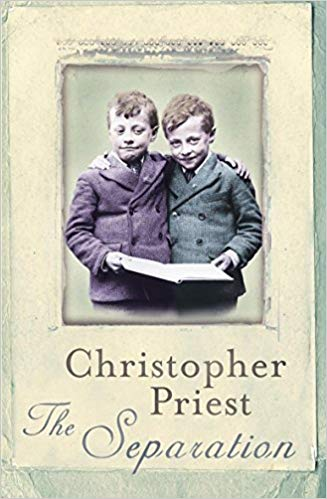 Otherwise, this is an excellent, quick read which has convinced me to explore more of Priest’s work.